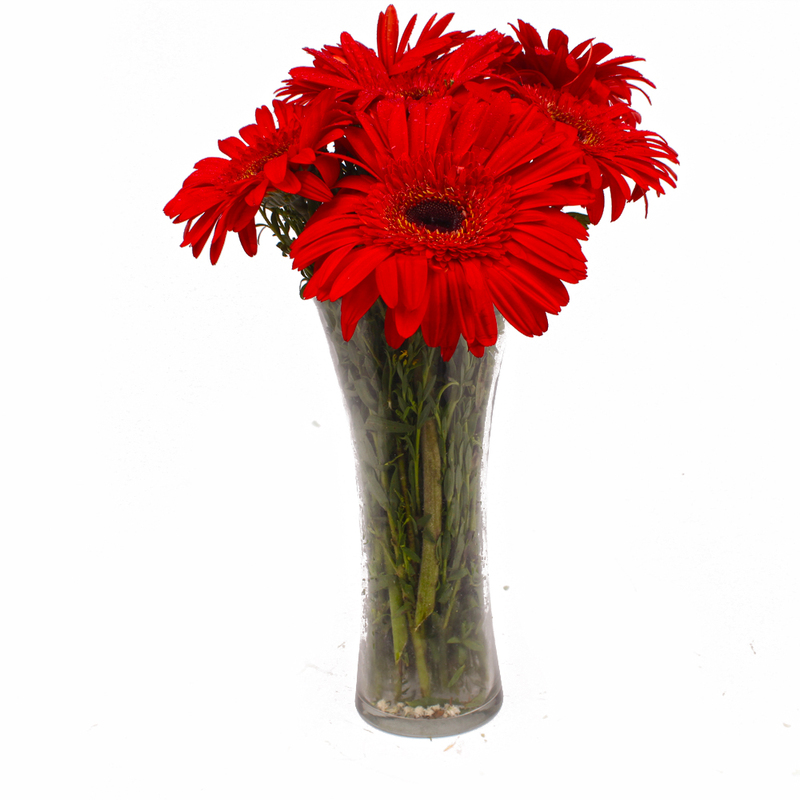 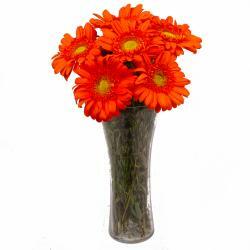 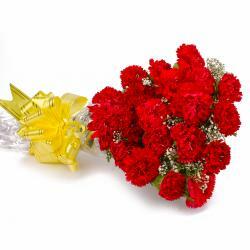 Product Consist : 6 Red Gerberas with green fillers nicely arranged in a Vase. 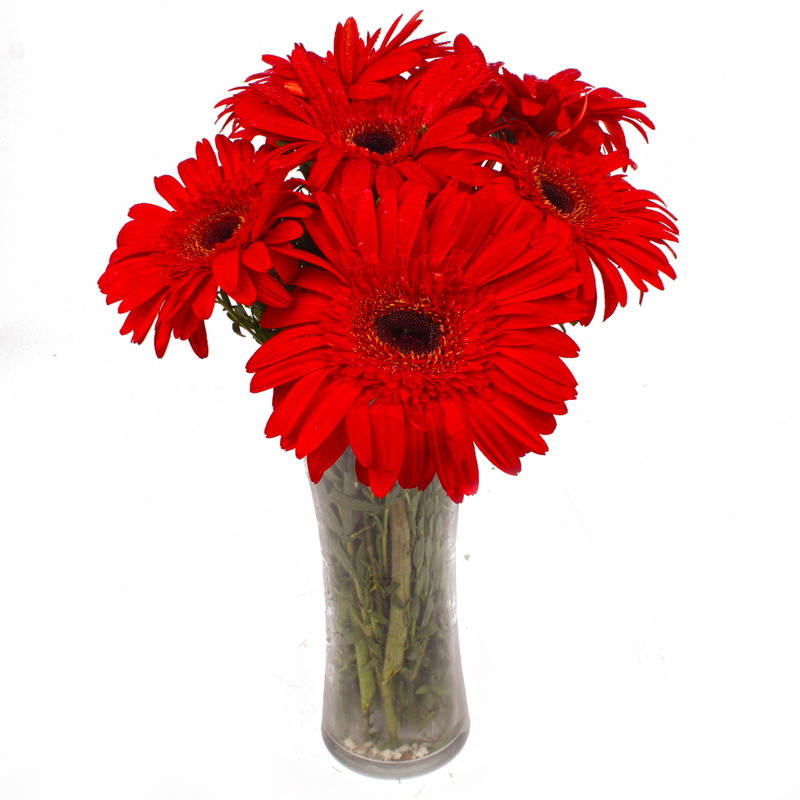 Send this exquisite bunch of red gerberas to those who you love. 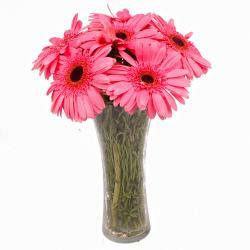 This pretty flower arranged of six stem of red gerberas beautifully arranged in a vase adorned with greens from Giftacrossindia is perfect to delight your loved ones from core of their heart and these make for wonderful gifts for Birthday, Anniversary, Wedding, Bhaidooj, Mothers Day among other occasions. 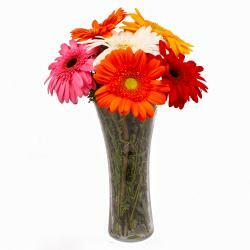 Product contains : Six Red Gerberas with green fillers nicely arranged in a Vase.